ST. PAUL (May, 2017) – Skyline Exhibits is proud to announce that Skyline E3, an award-winning Skyline dealer, is now serving Missouri including the greater St. Louis area. 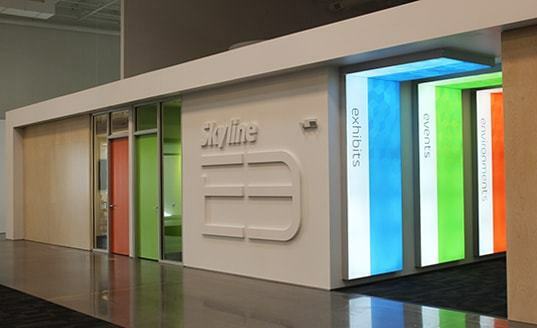 Skyline E3 has been the Skyline dealer in Kansas City since August 2000 offering clients a full range of services from consultation and exhibit design through installation and beyond. As the only authorized dealer in Missouri, only Skyline E3 can deliver the wide range of portable displays and custom modular systems offered by Skyline Exhibits. Skyline E3 also has access to Skyline Service Centers located in major venue cities – Las Vegas, Orlando, Chicago and Toronto – offering exhibit rental local to the show along with many supporting services. Skyline E3 is part of the Skyline network comprised of nearly 80 dealers in North America and representation in 30 countries.